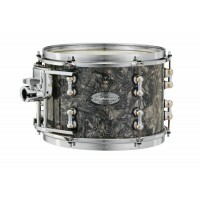 Junior SeriesΈνα παιδικό drumset που δεν είναι καθόλου παιχνίδι, αφού ο ήχος του είναι τόσο ..
DW Design Series Acrylic Drum SetDW has taken their custom drum-making experience and infused i..
DW Design Series Black SatinDW's line of Custom Shop-inspired kits, the Design Series, offe..
DW Design Series Cherry StainDW's line of Custom Shop-inspired kits, the Design Series, off..
DW Design Series Frequent Flyer Tobacco BurstPeter Erskine approached the DW design team with a..
DW Design Series Frequent Flyer White OnyxPeter Erskine approached the DW design team with a no..
DW Design Series Mini Pro Black SatinOriginally designed as a high-end drum set for children, t..
DW Design Series Mini Pro Black Satin 18BDOriginally designed as a high-end drum set for childr..
DW Design Series Mini Pro Tobacco BurstOriginally designed as a high-end drum set for children, ..
DW Design Series Mini Pro Tobacco Burst 18BDOriginally designed as a high-end drum set for chil..
DW Design Series Shell Pack Black SatinDW's line of Custom Shop-inspired kits, the Design Se..
DW Design Series Shell Pack Cherry StainDW's line of Custom Shop-inspired kits, the Design S..
DW Design Series Shell Pack Tobacco Burst DW's line of Custom Shop-inspired kits, the D..
DW Design Series Shell Pack White GlossDW's line of Custom Shop-inspired kits, the Design Se..
DW Design Series Tobacco BurstDW's line of Custom Shop-inspired kits, the Design Series, of..
DW Design Series White GlossDW's line of Custom Shop-inspired kits, the Design Series, offer..
Eco-X Project 20 x 18" Bass Drum 10 x 8'' Rack Tom 12 x 9'' Rack Tom 14..
Eco-X Project 22 x 18" Bass Drum 10 x 8'' Rack Tom 12 x 9'' Rack Tom ..
DW Lacquer Specialty Cherry StainOur flagship line of Custom Drums is offered in North Ameri..
DW Lacquer Specialty Ebony StainOur flagship line of Custom Drums is offered in North Americ..
DW Lacquer Specialty Tobacco SSCOur flagship line of Custom Drums is offered in North Americ..
DW Performance Series Fuzion Black Diamond22 x 18" Bass Drum 10 x 8'' Rack To..
DW Performance Series Fuzion Candy Apple Red22 x 18" Bass Drum 10 x 8'' Rack..
DW Performance Series Fuzion Gloss Black22 x 18" Bass Drum 10 x 8'' Rack Tom..
DW Performance Series Fuzion Natural22 x 18" Bass Drum 10 x 8'' Rack Tom ..
DW Performance Series Fuzion Pearlescent White22 x 16" Bass Drum 10 x 8'' Ra..
DW Performance Series Fuzion Tobacco Satin Oil22 x 18" Bass Drum 10 x 8'' Ra..
DW Performance Series Jazz White Marine Pearl18 x 14" Bass Drum 12 x 8'' Rac..
DW Performance Series Jazz Pearlescent White18 x 14" Bass Drum 12 x 8'' Rack..
DW Performance Series Jazz Titanium Sparkle18 x 14" Bass Drum 12 x 8'' Rack ..
DW Performance Series Jazz Tobacco Satin Oil18 x 14" Bass Drum 12 x 8'' Rack..
DW Performance Series Rock Candy Apple Red24 x 18" Bass Drum 12 x 9'' Rack T..
DW Performance Series Rock Ebony Stain24 x 18" Bass Drum 12 x 9'' Rack Tom ..
DW Performance Series Rock Gun Metal Metallic24 x 18" Bass Drum 12 x 9'' Rac..
DW Performance Series Rock Pearlescent White24 x 18" Bass Drum 12 x 9'' Rack..
DW Performance Series Rock Titanium Sparkle24 x 18" Bass Drum 12 x 9'' Rack T..
DW Performance Series Rock Tobacco Satin Oil24 x 18" Bass Drum 12 x 9'' Rack..
DW Performance Series Standard Black Diamond22 x 18" Bass Drum 10 x 8'' Rack..
DW Performance Series Standard Candy Apple Red22 x 18" Bass Drum 10 x 8'' Ra..
DW Performance Series Standard Ebony Stain22 x 18" Bass Drum 10 x 8'' Rack T..
DW Performance Series Standard Gloss Black22 x 18" Bass Drum 10 x 8'' Rack T..
DW Performance Series Standard Gun Metal Metallic22 x 18" Bass Drum 10 x 8''..
DW Performance Series Standard Natural22 x 18" Bass Drum 10 x 8'' Rack Tom ..
DW Performance Series Standard Pearlescent White22 x 18" Bass Drum 10 x 8'' R..
DW Performance Series Standard Pewter Sparkle22 x 18" Bass Drum 10 x 8'' Rac..
DW Performance Series Standard Titanium Sparkle22 x 18" Bass Drum 10 x 8'' R..
DW Performance Series Standard Tobacco Satin Oil22 x 18" Bass Drum 10 x 8'' ..
DW Performance Series Standard White Marine Pearl22 x 18" Bass Drum 10 x 8'' R..
DW Performance Series Studio Candy Apple Red20 x 16" Bass Drum 10 x 8'' Rack..
DW Performance Series Studio Ebony Stain20 x 16" Bass Drum 10 x 8'' Rack Tom..
DW Performance Series Studio Gloss Black20 x 16" Bass Drum 10 x 8'' Rack Tom..
DW Performance Series Studio Gun Metal Metallic20 x 16" Bass Drum 10 x 8'' R..
DW Performance Series Studio Natural20 x 16" Bass Drum 10 x 8'' Rack Tom ..
DW Performance Series Studio Pearlescent White20 x 16" Bass Drum 10 x 8'' Ra..
DW Performance Series Studio Pewter Sparkle20 x 16" Bass Drum 10 x 8'' Rack T..
DW Performance Series Studio Titanium Sparkle20 x 16" Bass Drum 10 x 8'' Rac..
DW Performance Series Studio Tobacco Satin Oil20 x 16" Bass Drum 10 x 8'' Ra..
DW Performance Series Studio White Marine Pearl20 x 16" Bass Drum 10 x 8'' R..
Gewa DC 1 Jazz BlackThe GEWA DC-1 is a full value beginner drumset with a very good price-perfor..
Gewa DC 1 Jazz WhiteThe Gewa DC-1 is a full value beginner drumset with a very good price-.. 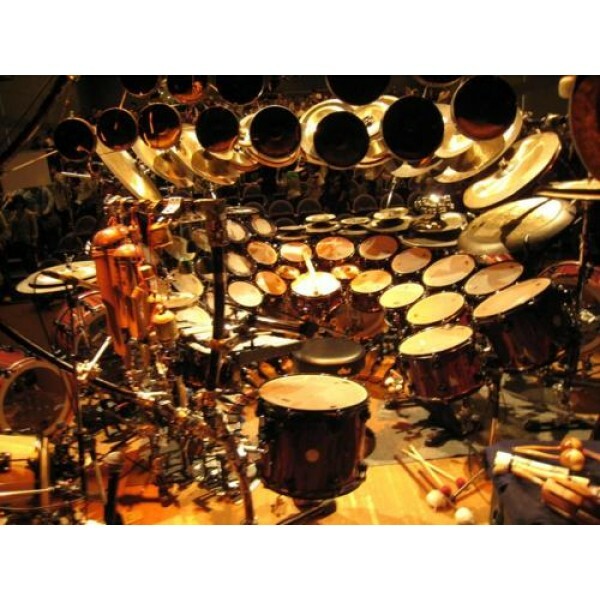 The GEWA DC-1 is a full value beginner drumset with a very good price-performance ratio. Beside a 5-.. 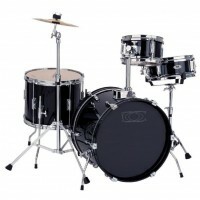 The GEWA DC-1 is a full value beginner drumset with a very good price-performance ratio.Beside a..
Gewa Dynamic Fusion set (Black Hardware) 22" x 16" Bass Drum 10" x 7&..
Gewa Dynamic Studio Set (Black Hardware) 20" x 14" Bass Drum 10" x 7&..
Gretsch Broadkaster 3-Piece shell pack 12/14/20 - APThe History In its Brooklyn, New York fa..
Gretsch Broadkaster 3-Piece shell pack 12/14/20 - ASP https://www.youtube.com/watch?v=pYf..
Gretsch Broadkaster 3-Piece shell pack 12/14/20 - SCMThe History In its Brooklyn, New York f..
Gretsch Broadkaster 3-Piece shell pack 12/14/20 - SCPThe History In its Brooklyn, New York f..
Gretsch Broadkaster 3-Piece shell pack 12/16/22 - APThe History In its Brooklyn, New York fa..
Gretsch Broadkaster 3-Piece shell pack 12/16/22 - ASPThe History In its Brooklyn, New York f..
Gretsch Broadkaster 3-Piece shell pack 12/16/22 - SCMThe History In its Brooklyn, New York f..
Gretsch Broadkaster 3-Piece shell pack 12/16/22 - SCPThe History In its Brooklyn, New York f..
Gretsch Broadkaster Vintage 3-Piece shell pack 12/14/20 - APThe History In its Brooklyn, New..
Gretsch Broadkaster Vintage 3-Piece shell pack 12/14/20 - ASPThe History In its Brooklyn, Ne..
Gretsch Broadkaster Vintage 3-Piece shell pack 12/14/20 - SCMThe History In its Brooklyn, Ne..
Gretsch Broadkaster Vintage 3-Piece shell pack 12/14/20 - SCPThe History In its Brooklyn, Ne..
Gretsch Broadkaster Vintage 3-Piece shell pack 12/16/22 - APThe History In its Brooklyn, Ne..
Gretsch Broadkaster Vintage 3-Piece shell pack 12/16/22 - ASPThe History In its Brooklyn, N..
Gretsch Broadkaster Vintage 3-Piece shell pack 12/16/22 - SCMThe History In its Brooklyn, N..
Gretsch Broadkaster Vintage 3-Piece shell pack 12/16/22 - SCPThe History In its Brooklyn, N..
Gretsch Brooklyn Fuzion Set Model : GB-E8246 Bass Drum : 22" x 14" Tom tom ..
Gretsch Brooklyn Jazz Set Model : GB-J483 Bass Drum : 18" x 14" Tom tom..
Gretsch Brooklyn Rock Set Model : GB-R443 Bass Drum : 24" x 14" Tom to..
Gretsch Brooklyn Standard Set Model : GB-RC423 Bass Drum : 22" x 14" Tom to..
Gretsch Brooklyn Studio Set Model : GB-E403 Bass Drum : 20" x 14" Tom..
Gretsch Catalina Club Jazz - BSF https://www.youtube.com/watch?v=PRsseA9Em6QThe new G..
Gretsch Catalina Club Jazz - GCBThe new Gretsch® Catalina Club blends classic configuration..
Gretsch Catalina Club Jazz - PBThe new Gretsch® Catalina Club blends classic configurations..
Gretsch Catalina Club Jazz - SAFThe new Gretsch® Catalina Club blends classic configuration..
Gretsch Catalina Club Jazz - SN https://www.youtube.com/watch?v=B9WBZcEhsSMThe new Gr..
Gretsch Catalina Club Jazz - SWG '14 https://www.youtube.com/watch?v=qde5hHxDdwUT..
Gretsch Catalina Club Rock - FB '14The new Gretsch Catalina Club blends classic configuratio..
Gretsch Catalina Club Rock - GCBThe new Gretsch Catalina Club blends classic configurations..
Gretsch Catalina Club Rock - PBThe new Gretsch Catalina Club blends classic configurations ..
Gretsch Catalina Club Rock - SAFThe new Gretsch Catalina Club blends classic configurations ..
Gretsch Catalina Club Rock - SNThe new Gretsch Catalina Club blends classic configurations ..
Gretsch Catalina Club Rock - SWG '14The new Gretsch Catalina Club blends classic configurati..